In a recent report, the Financial Action Task Force (FATF) assesses the effectiveness of Israel’s AML/CFT system. Israel faces a number of key money laundering (ML) risks including ML derived from fraud and tax offences, organised crime, the Money Service Businesses (MSBs) sector and the use of cash. Israel also faces a high threat of terrorism, and as such combating terrorism financing (TF) is a key priority. Some of the specific TF sources and channels identified are through supposedly legitimate business activities, donations, foreign non-profit organisations (NPOs), smuggling of goods, valuables and funds through border crossings. What is Israel’s overall level of compliance and AML/CFT effectiveness? The FATF assesses that Israel has implemented an AML/CFT system that is effective in many areas. Particularly good results are being achieved in the areas of ML/TF risk assessment and risk understanding, investigation and prosecution of ML and TF, including the use of financial intelligence, targeted financial sanctions related to terrorism financing, preventing misuse of legal structures, and co-operating domestically and internationally. However, it was identified that major improvements are needed to strengthen supervision and implementation of preventive measures. Israel has developed a wide range of effective instruments and mechanisms to combat terrorism and terrorist financing in all its aspects. Different types of TF cases are prosecuted, and offenders convicted. Proactive efforts of specialist agencies such as Shin-Bet are effective in disrupting terrorism at the early stages. Israel effectively deprives terrorists, terrorist organisations, and terrorist financers of their assets and instrumentalities related to TF activities. A large amount of funds and property have been frozen, seized, and confiscated. The report looks at a number of other key areas relating to AML/CFT including professional facilitators, international cooperation, financial intelligence and confiscation. Real estate agents, dealers in precious metals, and trust and company service providers are not covered by the Israeli AML/CFT system. These are professions in which professional money laundering facilitators could potentially work. Diamond dealers, lawyers and accountants were only recently incorporated in the AML/CFT regime, although lawyers and accountants are not required to report suspicious transactions. Israel provides constructive and quality information and assistance when requested, but faces occasional challenges in providing this in a timely manner. Israel is successfully receiving responses to its requests for international co-operation. Israel also extensively uses its informal channels of co-operation and authorities are overall well engaged and committed to execute requests where permitted. 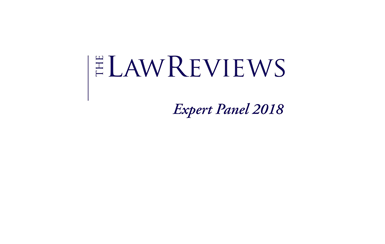 Feedback suggests that some problems have arisen in the context of identified delays in executing MLA and extradition requests, time being taken to seek clarifications or to meet the country’s evidentiary requirements. Israel effectively uses financial intelligence and other information to investigate ML, predicate offences and TF, and to trace criminal proceeds. This is a strong point of the Israeli system and at the centre of its approach to combating crime and terrorism. The database of the Israeli FIU (IMPA) is the primary repository of financial intelligence, and authorities also have direct access to a wide variety of financial intelligence and other information, most of which exist in various governmental databases and registries. Overall, authorities are successfully confiscating the proceeds of crime. Confiscation efforts extend to the tracing and the recovery of proceeds from abroad, and include the taking of provisional measures. From 2013-2017, Israel averaged EUR 24.6 million per year in confiscations achieved. How can Israel improve its AML/CFT system? Incorporate professions such as real estate agents and precious metal dealers within the AML/CFT regime, and introduce suspicious transaction reporting requirements for lawyers and accountants. Continue to address noted delays in responding to MLA and extradition requests. Ensure that supervisors across a range of professions enhance their understanding of ML/TF risks and adopt a risk-based approach to supervision. 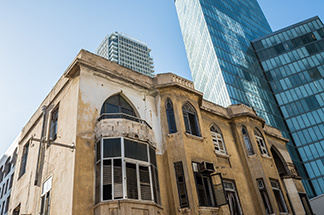 Ensure that the Israel Companies Authority (ICA) adopts a risk-based approach to ensure adequacy and accuracy of beneficial ownership information, and be provided with sufficient sanctioning powers.